Social Media Marketing: Few Reasons Why You Should Be Doing It Too! Wondering why every other company is working on their instagram or face book pages? Well, the impact social media has on a business is huge! One of the most common yet major benefits of using social media is the amount of exposure it offers. No matter how big or small your venture is, it definitely needs the boost that one can get only from a social media platform. With just a click, a prospective customer can come to know about your services and your prevailing discounts & offers and make a purchase or suggest other people who might be interested in it. This is how much impact social media has on your target audience. As almost everyone is using these platforms for various purposes it has become really easy to reach out to your target audience through them. This way you can get an in-depth look into the minds and the preferences of your audience and make the necessary changes to make your service or product more appealing and effective. Make Your Campaigns A Success! Getting to know your customers doesn’t only increase conversions but also helps in making your marketing campaigns more effective through relatable ads. As people are so expressive on these platforms they are more likely to speak up on your products or services here instead of contacting your team directly. So you see, it is also a great way to get familiar with the issues faced by your customers and serve them accordingly. Staying Connected At All Times! People are always fast when it comes to posting on social media, which makes it easier for the brands to respond to feedbacks or complaints much faster. This trend of instant feedback also makes it easier to determine the success of your products or campaigns. Dealing with competition, competitive analysis, establishing authority in the market and expanding the reach of the business has become much easier through these platforms. Social media is also the best inbound marketing tool that you can use effectively even on a tight budget. 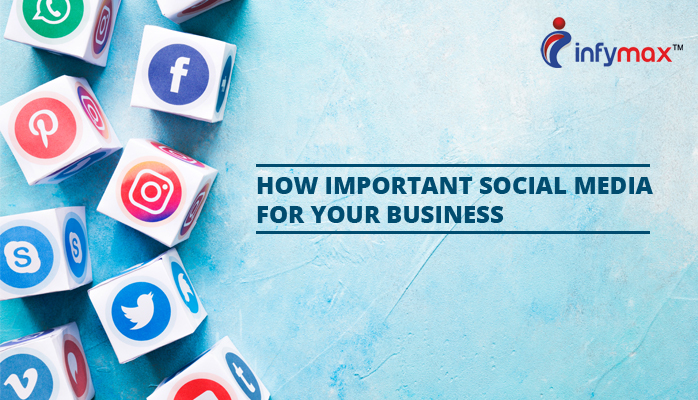 So if you want to build a strong online presence or are worried about brand equity then you definitely need to focus on your social media marketing strategies. Your social media presence affects the value of your brand both in monetary terms as well as customer perception. So if your business doesn’t have multiple active social media accounts and proper strategies in place then get to work now, or hire a professional team to do all the hard work while you sit back and reap the multidimensional benefits!